This is the home page of Aruba’s TurtugAruba Save-the-Sea-Turtles organization. The nesting season runs from March through September. Hatching takes place from May to November. Incubation takes approximately 60 to 70 days. TurtugArurba barricades around a nest. Sea Turtles return to their natal beach in order to nest. 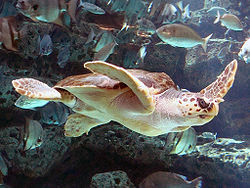 Sea Turtles use the earth’s magnetic field to guide them on their long journeys at sea. 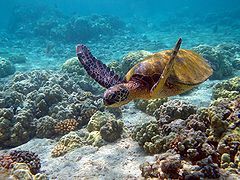 Sea Turtles do not nest every year, but rather every 2-5 years. The Leatherback Sea Turtles of Aruba lay about 115 eggs a clutch. 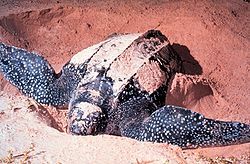 The Leatherback female will nest 6 – 8 times a season. It is estimated that only 1 in 1000 hatchlings survives to maturity. 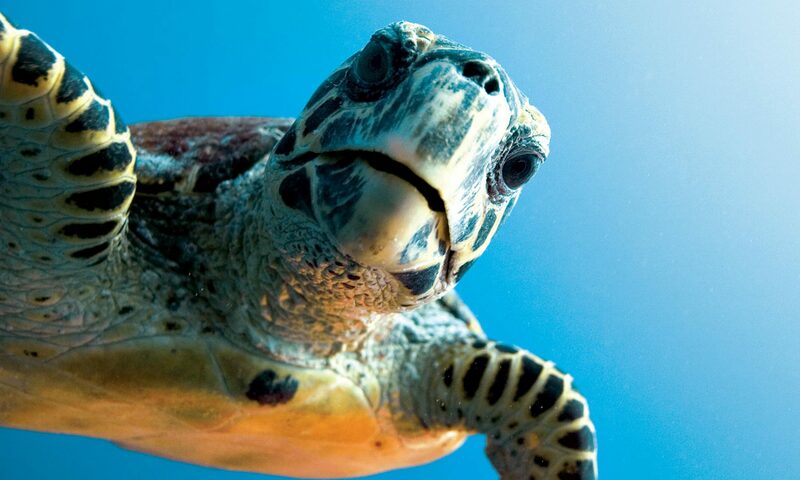 All species of sea turtles are endangered and need our protection. 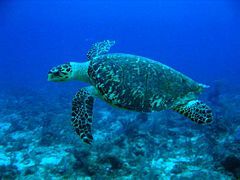 The Leatherback, the Loggerhead, the Green and the Hawksbill. Nighttime activities and artificial lighting may deter adult females from nesting or disorient emerging hatchlings, leading them inland where they die of dehydration or are crushed by cars. So PLEASE keep all lights off, including flashlights, flash photography and video equipment. Vehicles compact sand and make it difficult for turtles to dig into or out the sand. Balloons, plastic bags and other non-degradable litter can kill sea turtles who mistake it for food. 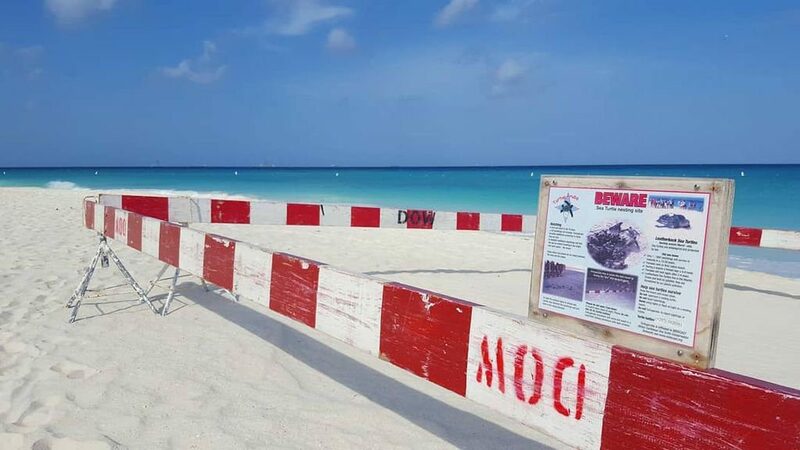 Obstacles such as beach furniture or recreational equipment may cause nesting females to abort their nesting attempt or may even trap nesting females or hatchlings. Watch a nesting turtle from a distance. Turtles are very shy and will easily leave without nesting. leave hatchlings in their nest; they will exit the nest when they are ready. Let them crawl to the water on their own, allowing them to imprint on their home beach. If you find hatchlings confused by lights call the Aruba Turtle Hotline for advice. 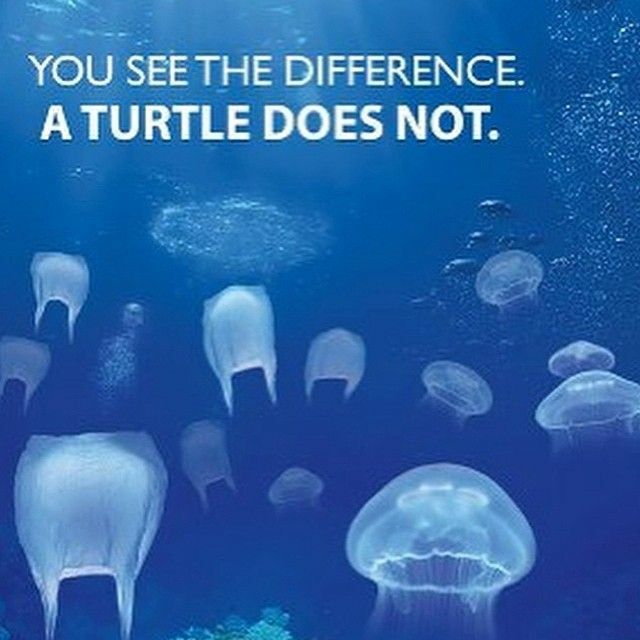 Plastic bags look like the turtle’s natural food source – Jelly Fish. Welcome to the new TurtugAruba Web Site. Hoping to raise awareness of the endangered Sea Turtles on Aruba and around the world. Web site design and hosting donated by TeleSites.net – Set Your SItes Here!